By now I'm halfway through the bowl..enjoying it thoroughly. Scattered thunderstorms are approaching from the west and a cool breeze is blowing. Considering that I may not have a whole lot of time to enjoy the mild weather outside, I started puffing quicker than usual. And I kept puffing..and puffing.. but this dang bowl is being stubborn and refuses to get too hot to hold. 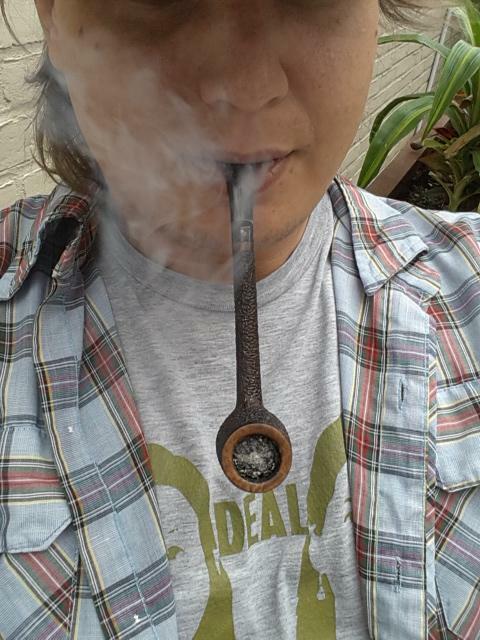 Even though there's no need to cradle the bowl or grasp the stem while smoking (.8oz remember), I can't help but stroke the pipe. I really like the feel of this rustication. 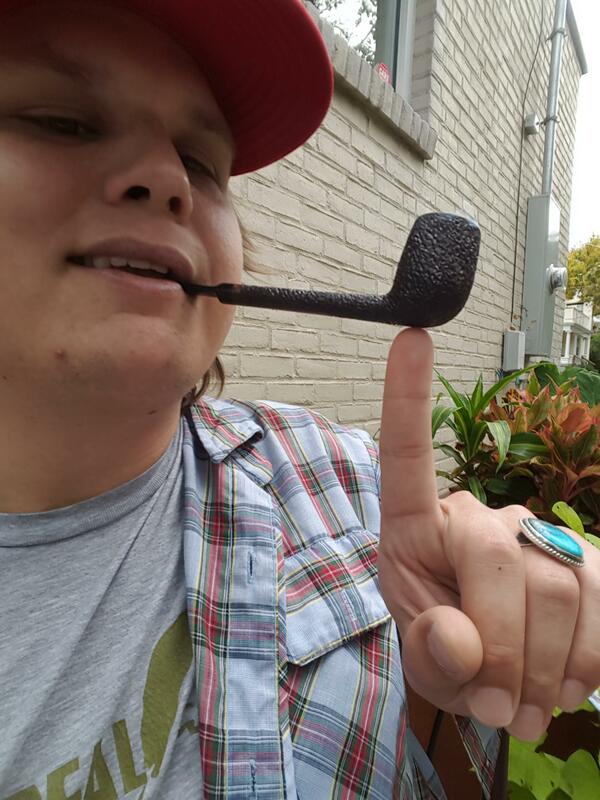 I'm so happy I was able to score this pipe unsmoked at an estate price. Otherwise, I probably wouldn't have been able to pulled the trigger on it like I did. I'll definitely keep my eyes peeled for other KA pipes in the future, and I hope you do too. She's a looker, I'll give her that! Congrats on a new score. For me, the hand-feel is important as well, since I'm all over the map on clenching or holding. Good rustication should feel as good as it looks. That's a lovely pipe. I'm an inveterate clincher, so weight is always a factor for me -- I love that it's less than 1.0 oz. Congrats. very beautiful pipe, it looks awsome, it does look like a heavy pipe, but i am surprised that it is light. congrats on your pipe. Yep, I am surprised at the weight also. Looks like a great clincher to me also. Perfect size, love the polished bowl top.